Stone fruits are the quintessential summer fruit. What better way of utilizing this juicy fruit is to infuse it with your favorite wine? 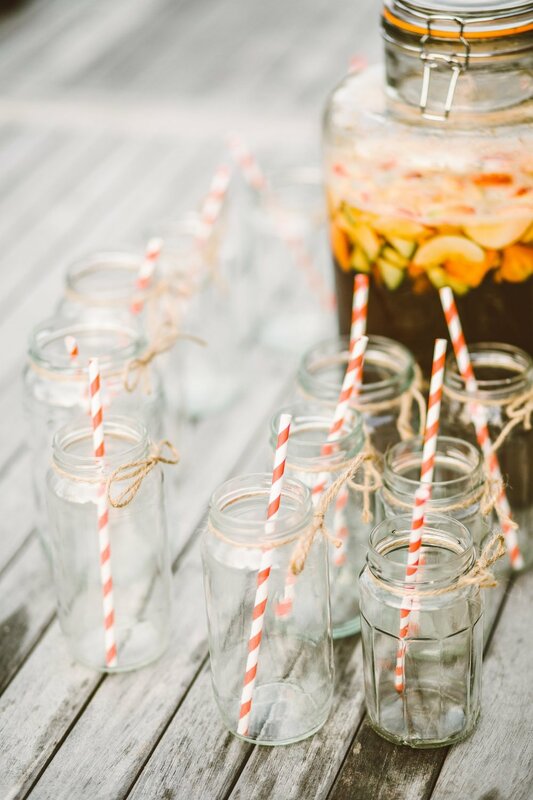 Sangria is a perfect medley of refreshing and fruity for your next party. Not only is your thirst quenched, but you can nibble on the fruits after you're done to satisfy some hunger. This sangria is a fun and delicious way to spice up your drinks and for your guests. This concoction can serve up to 25 guests! Take nectar and brandy, and mix together. Add fruit (cut into nice uniform wedges) and stir gently and add sugar if needed (this should be done about 2 hours ahead of time to blend the flavors, overnight is even better). When ready to serve, pour chilled Prosecco and 7UP or lemon lime soda into mixture. Served chilled or over ice. The fruit is so good. Serve nice toothpicks of some sort so you can eat the brandied fruit. If you are ever assigned to drinks and can’t think of anything. This recipe is not only easy, but fun to make. Make sure to drink responsibly, but more importantly stand out in the next party with this tasty concoction! Love this recipe? Then use it at your next party! Just be sure to share what you did and what you love about it in the comment section below. We’d love to hear what you think!